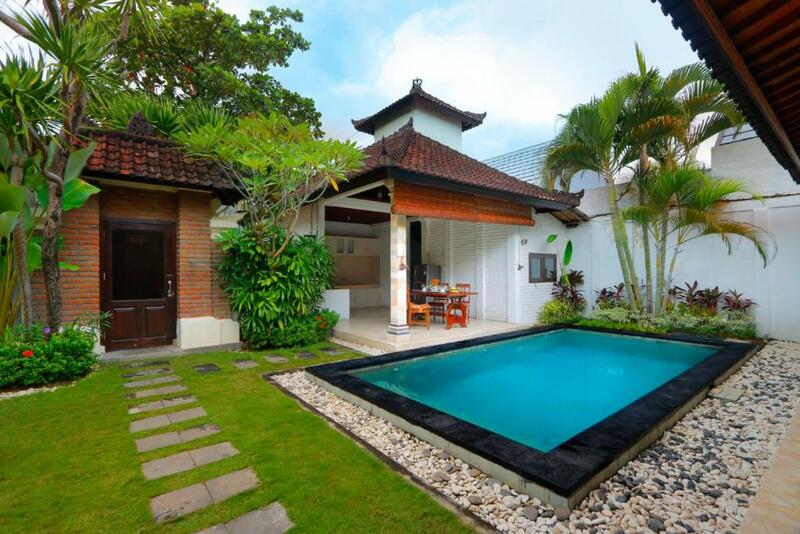 Location, private pool, kitchen, cleanliness. It was worth the money! It’s very spacious and private. The pool area is a plus. Loved the villa, location and the pool was beautiful. Ketut was amazing, helped us with everything. Massive rooms with plenty of space inside to lounge about. 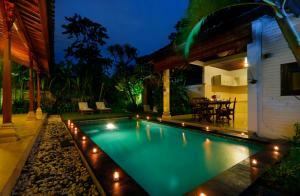 Outside area is also very large and pool sparkling clean with well maintained garden area. There are many seating options outside which was great for my finicky back. Same can be said for inside. The kitchen area has a large water dispenser which offers hot and cold water. Location is very central and is a short taxi or bike ride from any Seminyak destinations if you do not want to walk. There is a bit of noise from bikes but once inside the rooms we found it was not noticeable. Ketut was extremely helpful with our transport to the airport and he did everything possible to make our stay an enjoyable one. So glad we found this place and will definitely be returning. 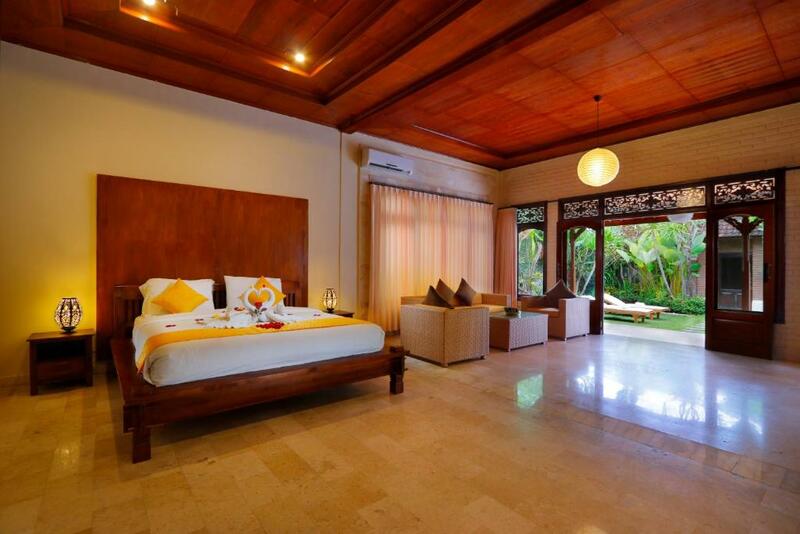 Ketut was very friendly, and the villa was the perfect size for my friend and I. The rooms are huge, The bed was super comfy, The pool was clean and well maintained. Pool and garden were beautiful and bedrooms were very clean. 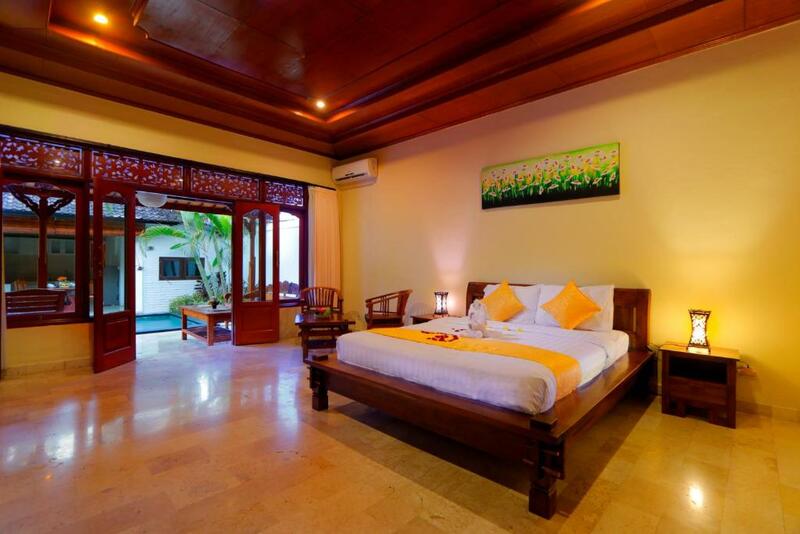 Lock in a great price for Kori Bali Kubu – rated 8.8 by recent guests! 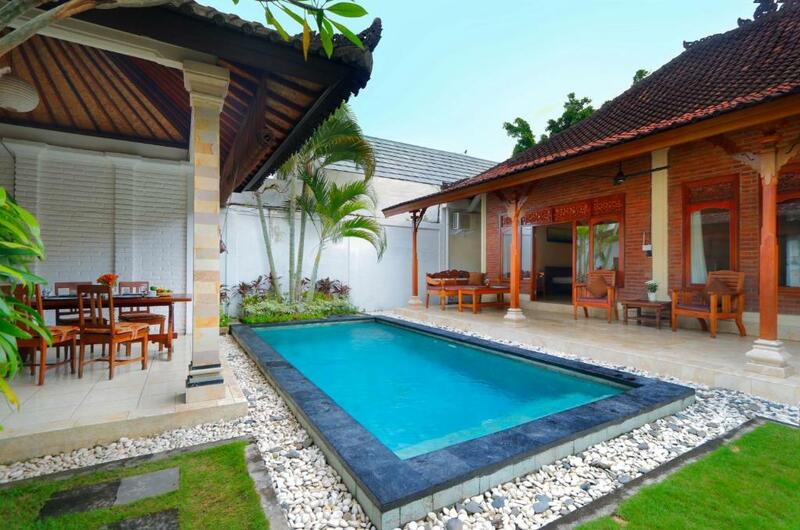 Kori Bali Kubu This rating is a reflection of how the property compares to the industry standard when it comes to price, facilities and services available. It's based on a self-evaluation by the property. Use this rating to help choose your stay! 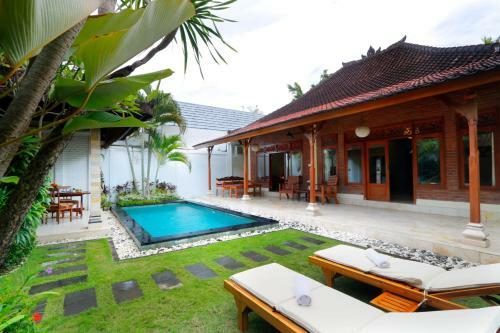 Just 1.1 miles from Oberoi Street and an 8-minute walk from Bintang Supermarket Seminyak and featuring free WiFi, Kori Bali Kubu offers accommodations in Seminyak. Guests are welcome to go for a swim in the private pool. The air-conditioned villa is composed of 2 separate bedrooms, a fully equipped kitchen with an oven and a microwave, and 1 bathroom. A flat-screen TV is provided. The villa has an outdoor pool. A bicycle rental service is available at Kori Bali Kubu. 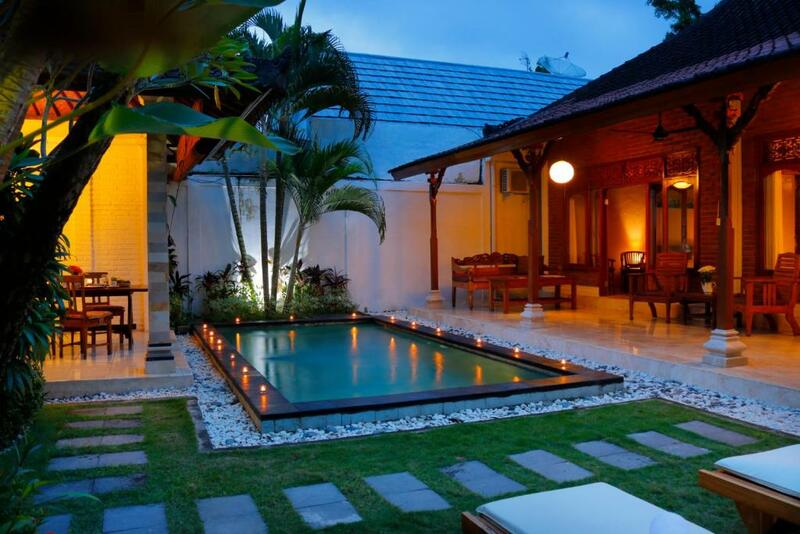 The Seminyak Square Shopping Mall is 1.7 miles from the accommodation. The nearest airport is Ngurah Rai International Airport, 5 miles from Kori Bali Kubu. 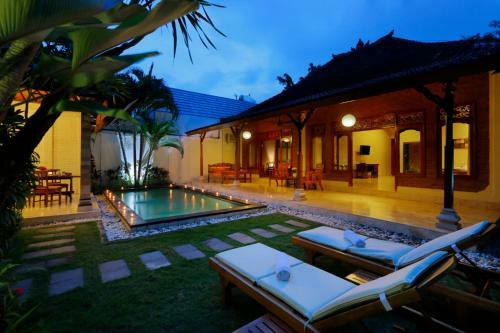 When would you like to stay at Kori Bali Kubu? 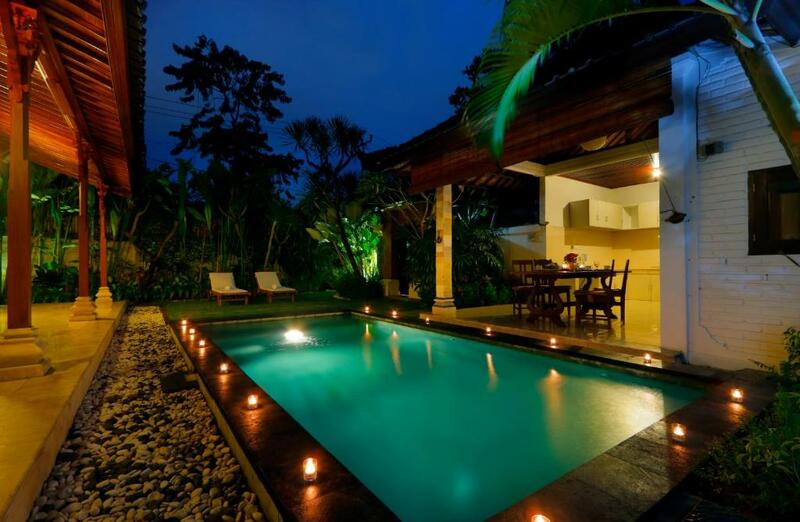 This villa has a private pool, tile/marble floor and electric kettle. House Rules Kori Bali Kubu takes special requests – add in the next step! Kori Bali Kubu accepts these cards and reserves the right to temporarily hold an amount prior to arrival. Please inform Kori Bali Kubu of your expected arrival time in advance. You can use the Special Requests box when booking, or contact the property directly using the contact details in your confirmation. Bathrooms and kitchen a little dated. Older but very clean. Large beds. Great pool. The bathrooms are really old and need to be updated. Mouldy shower curtains, aged tiles in the bathrooms bit gloomy. Cleanliness, lack of amenities, no microwave, no kettle, lack of drinking water, old yellow towels, no knives and forks, no condiments, only 1 spoon, filthy and broken cupboards in kitchen area. Mould in both bathrooms, only 1 roll of toilet paper. Only thing I can think to improve would be the addition of a kettle as the hot water dispenser couldn’t keep up with our coffee intake so we boiled water in a saucepan....so not a real problem.